In a unanimous vote this week, the Long Beach Community College District Board of Trustees elected a new president and vice president to lead through the next term that ends July 22 of next year. Former Long Beach City Council member Jeff Kellogg was elected as president of the board and former mayor Tom Clark was elected vice president at a meeting of the governing board held Tuesday. Fellow board members Mark Bowen, Doug Otto and Roberto Uranga, the previous president of the board, all voted in favor of Clark and Kellogg. Kellogg was first elected to the board in 2002 and again in 2006 and 2010 and represents Area 1, the northwest portion of the college’s district. In a press release, President Kellogg praised Uranga for his work as president during the previous term. The board is coming off a challenging year in which the Long Beach City College budget cuts led to the closure of several trade programs, prompting a student trustee to organize a May Day march and a campaign to recall the trustees. During a day-long public retreat held the same day as the vote, the council Trustees laid out their goals for the upcoming year. Those goals mostly reaffirmed existing programs in place to help students succeed within the LBCC system–supporting the student success agenda which includes expanding the Long Beach City College Promise, supporting the Career Technical Education Workforce Development and Economic Development agendas to help the regional economy–and also stipulated that the board allocate resources in way to prioritize the goals they set. A lifelong Long Beach resident and one-time student at LBCC, Kellogg attended the University of Oregon where he played football and earned a degree in History. 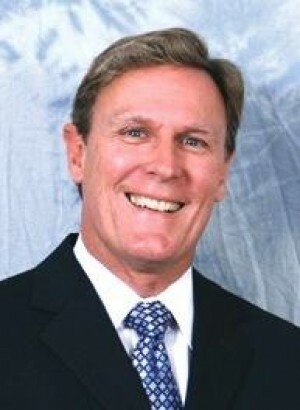 During his time on the City Council he was able to establish a state Enterprise Zone for the city, the Bixby Knolls Business Improvement Association and the North Long Beach Redevelopment Area. The newly elected president also spoke of his hopes to offer new programs at the school in the areas of cyber security and emerging “green” technologies and his enthusiasm to start in his new position at the head of the board. “As I begin my term as Trustee President, I look forward to working with all segments of the college community as we prepare for our accreditation visit and the opportunity to demonstrate why LBCC is regarded as a leader among community colleges not only in California but throughout the nation,” Kellogg said.